This weeks Meet The Local is a little bit late but I promise the photos alone will make it worth the wait. 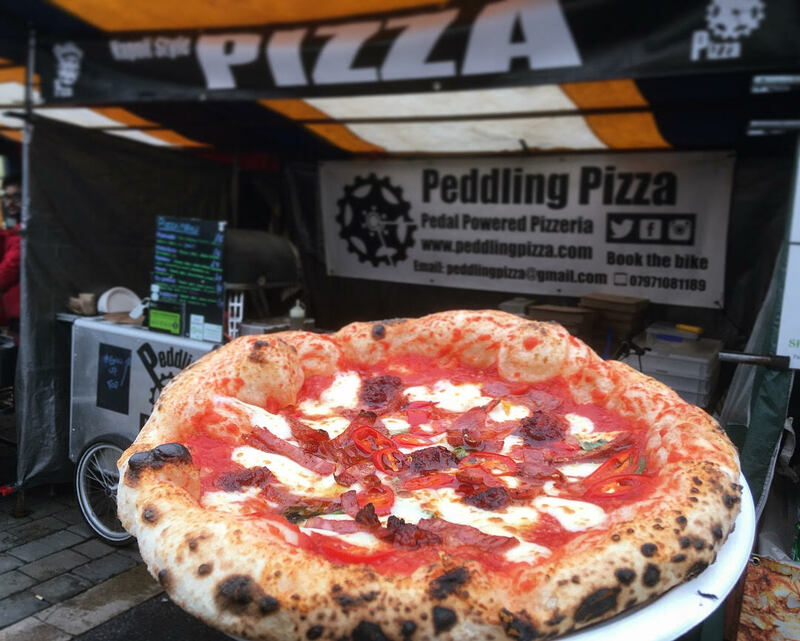 My guest this week is Adam from Peddling Pizza, the mastermind behind the mouth watering pizzas that you’ll find every Wednesday at St Albans Market. I caught up with Adam yesterday and it was great chatting to someone who was born and bread in St Albans and has managed to turn their hobby into a job. 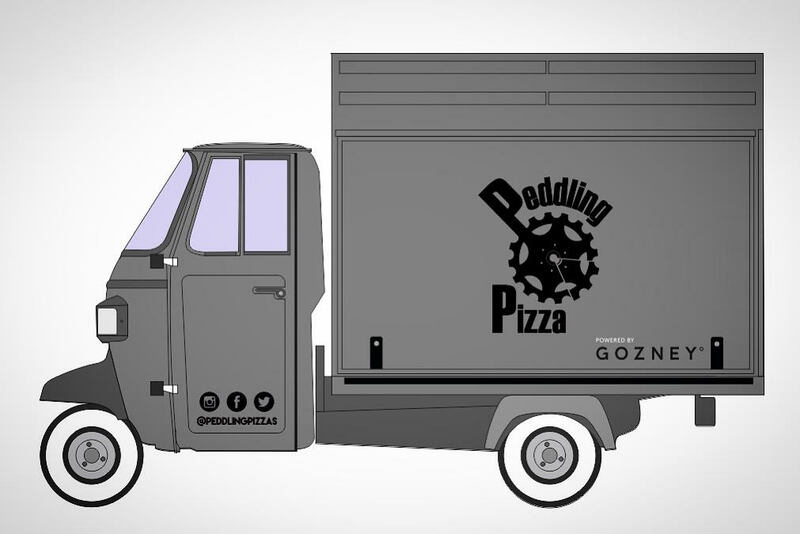 In about eight weeks Adam will be unveiling his new Pizza Piaggio ape classic 400 at the St Albans Wednesday Market which will have a stone oven inside. Make sure to follow him on Instagram, his handle is @peddlingpizzas. A typical week starts … on Monday when I make my dough for the week made using flour from the legendary Dallagiovanna Mill in Italy. I then leave it to slowly ferment over the next 48 hours. On Wednesday my alarm goes off at 6.00am and once I’ve fed my little boy and had breakfast I start breaking up the dough into balls. I will normally make about 60+ for the day. I then drop my son at nursery for 7.30am and when I return I start making the sauce and prep anything that hasn’t already been done. At 8.30am I load my bike trailer with absolutely everything I need, even a sink, so it’s normally quite squeeze. I cycle into town which normally takes about 10-15minutes depending on traffic and get to the stall for 9am. Once I’ve set everything up I’m normally ready about 10.15am and start selling pizzas until 2/3pm depending on the weather. I then cycle home and start the big clean up! Every two weeks I also serve pizzas at Victoria Square offices and most weekends I’m cooking pizzas at private parties and weddings. The one thing do I love most about my job is… the craft of making pizza. I’m very lucky that my hobby has become my job. 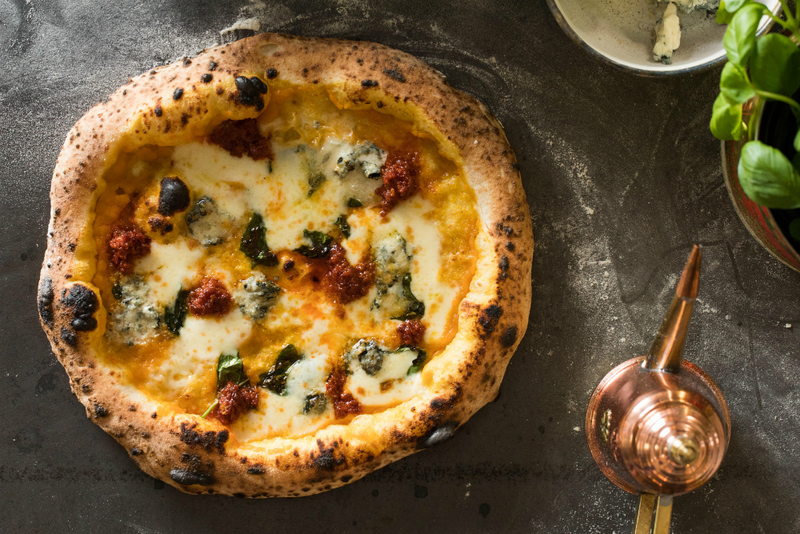 My favourite is the sweet pumpkin base sauce with spicy meaty Nduja, tangy salty Gorgonzola and creamy mozzarella. I ended up working in my current job as… I was originally a delivery driver – I know every single street in St Albans including the house numbers. When my wife went back to work after my son was born I left my job to look after him and decided to start up Peddling Pizzas. I’ve always loved cooking and making pizzas is something I’m genuinely passionate about. The best piece of advice I received was do what makes you happy. My most memorable moment was… at last years Food & Drink festival, it was amazing seeing how many people were queuing up for my pizza. Similarly at Larks in the Park I served 104 pizzas in 4 hours, the weather was brutally hot, it was a great feeling! Pub in St Albans: If I was going for a drink with a friend, I’d go to The Beech House. I like the chilled atmosphere and the staff are friendly too. Place to eat in St Albans: Hatch. My favourite thing to order is the Dirty Reuben sandwich – salt beef reuben topped with a fried egg cooked in caper butter. Dirty but delicious! Memory of St Albans: I have very fond memories of the old Westminster Lodge. My Dad used to take my Sister and I swimming there every Friday. Then afterwards we’d go to Cheong for fish & chips. Place to have a coffee: Again I’d have to say Hatch. I’m a massive coffee fan and their coffee is so good you don’t even need to add any sugar. Place to buy a present: I’m rubbish at buying gifts, my wife will normally buy something from Paperchase or Oliver Bonas. Huge thank you to Adam for taking the time to speak to me. You can sample his fabulous pizza at St Albans Market and keep your eyes open for his next collaboration with Hatch! Remember to check back next Thursday to see who my next guest will be! I’d love to hear in the comments below which local you’d like to know more about.